We are enjoying a nice long holiday weekend here in the US. Last weekend for the pool! You know what that means...Christmas will be here before we know it! I really love the way it looks, it reminds me Christmas tree lights! I started by repeatedly stamping the sentiment on the background of a watercolor panel. I then went in and added layers of water coloring over the words. Next I stamped and water colored the holly image in. Once it was dry I trimmed it out. With the background being so busy I used one of the circle dies to cut a circle out of vellum to help the holly image stand out. I then layered it onto some gold glitter paper and finished it with gold enamel dots. I then stamped the inside sentiment and added the holly image in the bottom right corner with a tone on tone effect. I like the simple stamping inside the card. and you know what? 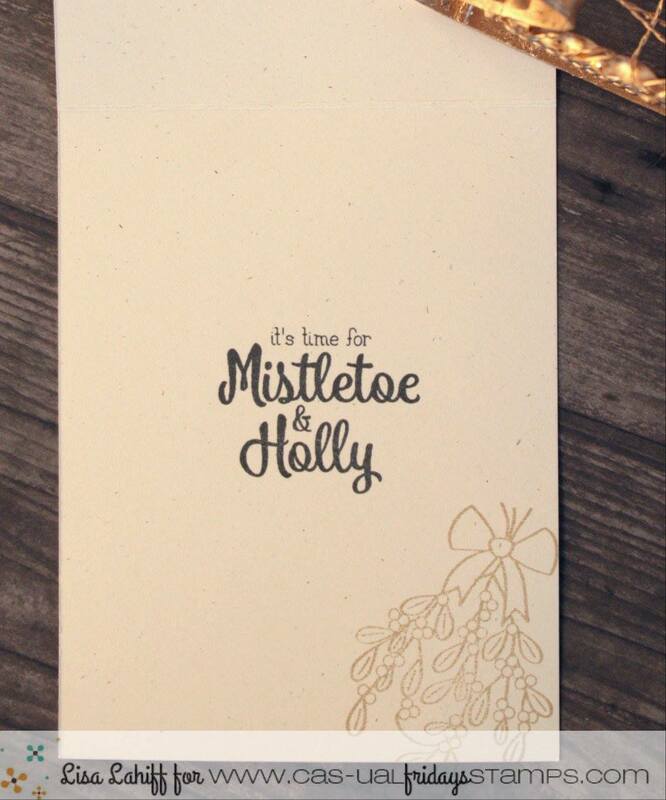 it would be cute stamped on the envelope too! Oh My Gosh By Golly.....this is GORGEOUS! How creative! 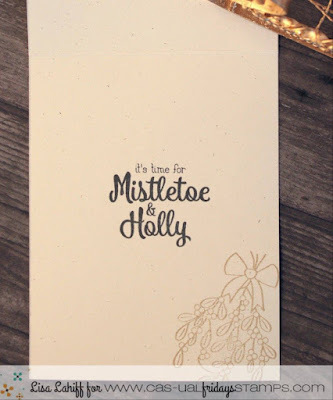 Love the colorful backdrop to the Mistletoe on Vellum! WOW!! !